Anna Bligh must end the mining madness – stop mining on expired leases now! 2 ½ha of of NSI’s ancient dunes and forests are destroyed every week the Bligh Government delays. North Stradbroke Island is loved by many south east Queenslanders. It has beautiful beaches, forests, sand dunes, heathlands and wetlands. Sandmining on the island involves clearing vast areas of vegetation, destroying dune structures and the topsoils (which are integral to the important aquifer below), and threatens the island’s water bodies and animals such as the island’s koala. Sandmining is locking up more than half of North Stradbroke Island. See more. 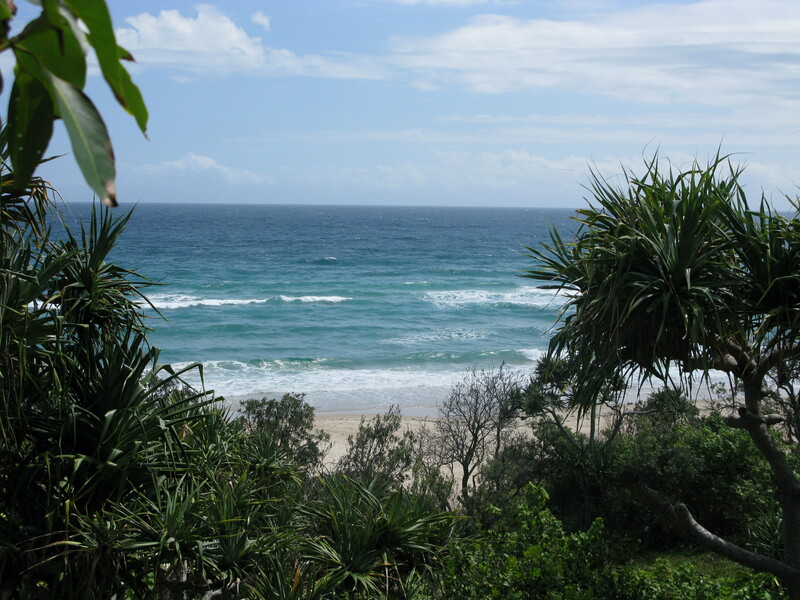 Stradbroke’s economy and future relies on tourism; this tourism is based on the island’s beaches, dunes, lakes, forest, heaths, and other natural areas. Mining requires the complete destruction of old growth forests, woodlands, creeks, animal habitat, sand dunes and the underground layers of ancient sands which hold the water as it percolates to the aquifer below. See more. ‘Rehabilitation’ by the mining company cannot replace the ancient dunes and complex ecosystems which they support. See more. The mining company, Sibelco, pays royalties of just 5% of the value of the mineral sands. See more. Just one quarter of 1% of Qld’s mining revenue comes from Straddie mining. See more. The government is allowing mining on mining leases which expired in October 2007, more than three years ago. Other mining leases are due to expire soon. The mineral sands mining (the most destructive type of the mining) can be stopped by 2013 without paying any compensation. The government should stop this mining by refusing to renew leases which have expired. Queensland’s Court of Appeal has found that the mining company was illegally taking sand off the island and selling it for construction purposes. The sand illegally taken has a retail value of about $80 million. See more. A huge body of water, an aquifer, is naturally stored within North Stradbroke Island. Sandmining dramatically alters the structure of the sand dunes, risking the fragile aquifer. Sandmining on Straddie has already caused damage to the island’s water bodies. The current extensive industrial mining operations place Straddie’s water bodies at risk. Mining’s effect on the hydrology of the Island is not properly understood by scientists. Pristine lakes on the Island have been damaged by mining and other waterbodies are threatened. Rare and endangered plants and animals are threatened through the loss of their habitat. The Island’s koala is unique, being genetically distinct from other koalas. The mining company, Sibelco (formerly called Unimin Australia Limited), owns and controls all sand mining operations on the Island. The Sibelco group is a very large multinational company with a worldwide turnover of $2 billion. It is owned by a very wealthy Belgian family. See more. 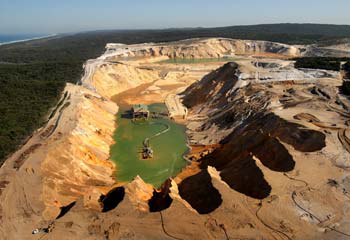 See a detailed document as to why sandmining on Straddie must be stopped.